Sarah DeLappe's play The Wolves will appear to be familiar territory for many parents in the Repertory Theatre St. Louis' audience. In it a team of teenage girls stretch before an indoor soccer game. But the only parent nearby is the team coach, who is too hungover to pay much attention to his athletes, and the girls are free to speak honestly to each other, and about each other. 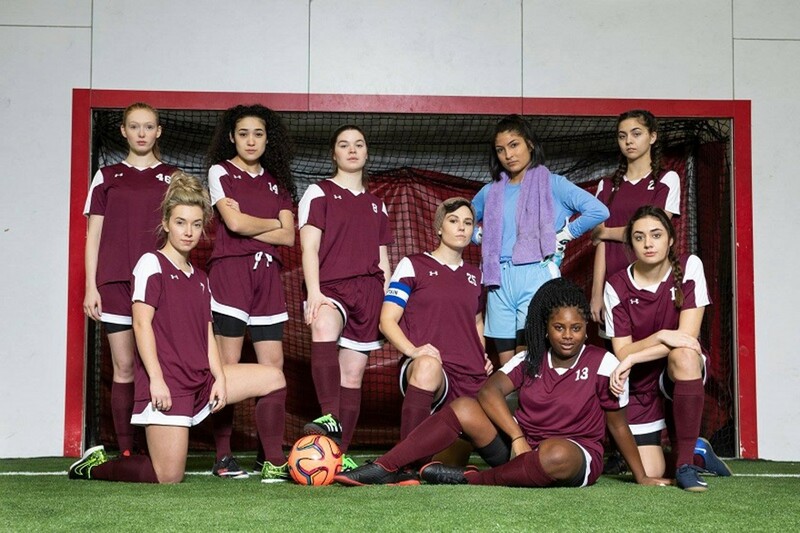 As the season progresses, a new teammate, growing resentments, discussions of various boyfriends and the flashes of unexpected cruelty reveal that behind their confidence on the field, each of them is still a young woman finding her way toward adulthood. The Repertory Theatre St. Louis presents The Wolves Tuesday through Sunday (January 18 to February 3) at the Loretto-Hilton Center (130 Edgar Road; www.repstl.org). Tickets are $46 to $71.